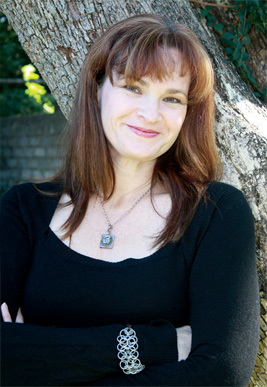 Angela Slatter is the author of the supernatural crime novels from Jo Fletcher Books/Hachette International: Vigil (2016), Corpselight (2017) and Restoration (2018), as well as eight short story collections, including The Girl with No Hands and Other Tales, Sourdough and Other Stories, The Bitterwood Bible and Other Recountings, and A Feast of Sorrows: Stories. Vigil has been nominated for the Dublin Literary Award in 2018. She has an MA and a PhD in Creative Writing, is a graduate of Clarion South 2009 and the Tin House Summer Writers Workshop 2006, and in 2013 she was awarded one of the inaugural Queensland Writers Fellowships. In 2016 Angela was the Established Writer-in-Residence at the Katharine Susannah Prichard Writers Centre in Perth. She has been awarded career development funding by Arts Queensland, the Copyright Agency and, in 2017/18, an Australia Council for the Arts grant. 2017 Australian Shadows Award for Best Novel: Corpselight. 2016 Aurealis Award for Best Collection: A Feast of Sorrows: Stories. 2014 World Fantasy Award for Best Collection: The Bitterwood Bible and Other Recountings. 2014 Aurealis Award for Best Collection: The Female Factory, co-authored with Lisa L. Hannett. 2014 Aurealis Award for Best Horror Short Story: “Home and Hearth”. 2014 Aurealis Award for Best Fantasy Short Story: “St Dymphna’s School for Poison Girls”. 2012 British Fantasy Award for Best Short Story: “The Coffin-Maker’s Daughter”. 2010 Aurealis Award for Best Collection: The Girl with No Hands and Other Tales. 2010 Aurealis Award Best Fantasy Short Story: “The February Dragon”, co-authored with Lisa Hannett. 2017 Longlisted for the Dublin Literary Award: Vigil. 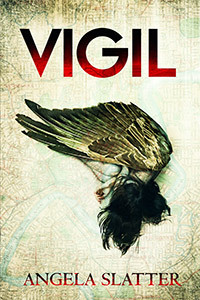 2017 Locus Award for Best First Novel: Vigil. 2014 Norma K. Hemming Award: The Female Factory, co-authored with Lisa Hannett. Honourable mention. 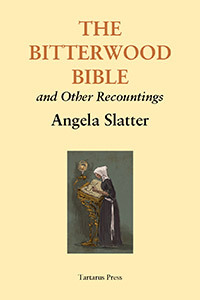 2013 Aurealis Award for Best Collection: The Bitterwood Bible and Other Recountings. 2013 Aurealis Award for Best Collection: Black-Winged Angels. 2013 Aurealis Award for Best Collection: The Female Factory, co-authored with Lisa Hannett. 2013 Aurealis Award for Best Fantasy Story: “St Dymphna’s School for Poison Girls”. 2013 Aurealis Award for Best Fantasy Short Story: “The Badger Bride”. 2013 Aurealis Award for Best Horror Short Story: “Home and Hearth”. 2012 Aurealis Award for Best Collection: Midnight and Moonshine, co-authored with Lisa Hannett. 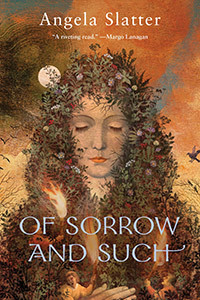 2011 World Fantasy Award for Best Collection: Sourdough and Other Stories. 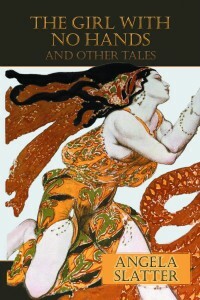 2011 Australian Shadows Award for Long Fiction: The Girl With No Hands and Other Tales. 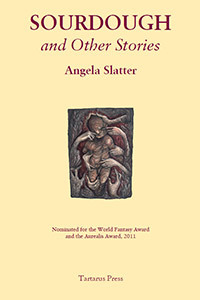 2011 Australian Shadows Award for Short Fiction: “Brisneyland by Night”. 2010 Aurealis Award for Best Collection: Sourdough and Other Stories. 2010 Aurealis Award for Best Fantasy Short Story: “Sister, Sister”. 2009 Aurealis Award for Best Fantasy Short Story: “Words”. 2008 Aurealis Award for Best Fantasy Short Story: “Dresses, three”. 2007 Aurealis Award for Best Fantasy Short Story: “The Angel Wood”.